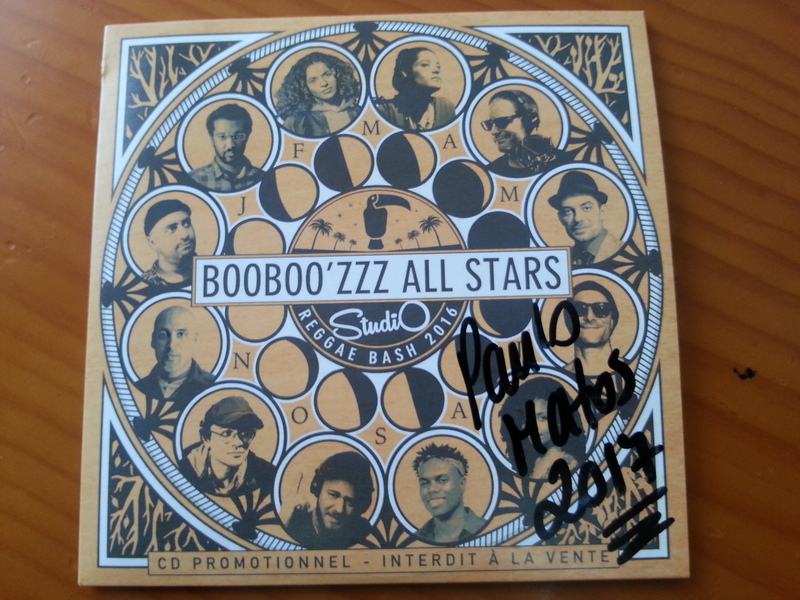 The BOOBOO'ZZZ ALL STARS, the emblematic band of the reggae / soul scene from Bordeaux, bringing together the active members of the band Wyman Low and the Ravers, Train's Tone, Tom Frager and The Jouby's was born in 2013. For more than two years, the BOOBOO'ZZZ ALL STARS BAND offered the public Reggae Bash evenings , bringing together artists from all walks of life around Jamaica, thus placing the group as a reference of quality in terms of "Live". From then on, Le Booboo'zzz Club shows complete when every appearance of the collective. 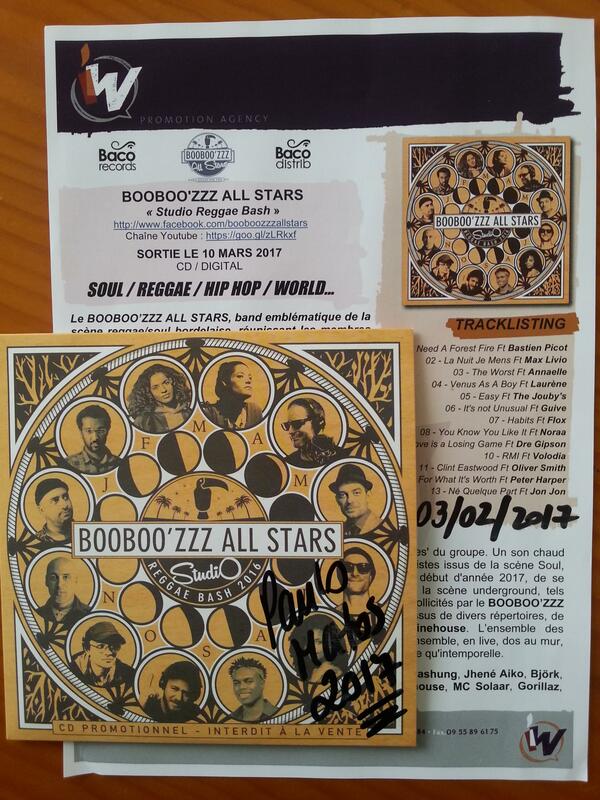 Beginning in 2016, the Booboo'zzz All Stars decided to broadcast, on social networks, videos of live sessions every month, which allow the backing band to make themselves known to a larger audience and thus meet a Wider success. These sessions give birth today to the first collective record project: "Studio Reggae Bash" . A cover album bringing together all of the group's live recordings. A warm sound produced by exceptional musicians with the participation of vocalists from the Soul, Reggae, Hip Hop, and World Music scene, allow this project, at the beginning of 2017, to stand out! Artists from the underground scene, such as Peter Harper , Flox , Volodia , Laurène and the various actors requested by the BOOBOO'ZZZ ALL STARS, take back, with simplicity and emotion, classics from various repertoires, from Bashung to MC Solaar , Through Björk and Amy Winehouse . All the recordings were "old-fashioned", singers and musicians together, live, back to the wall, without catching up, allowing to deliver a production as groovy as it is timeless. On the menu, the times of historic title of James Blake , Alain Bashung , Jhené Aiko , Björk , Commodores , Tom Jones , Tove Lo , AlunaGeorge , Amy Winehouse , MC Solaar , Gorillaz , Buffalo Springfield and Maxime Le Forestier ! GRANDE COVER Venus As A Boy de Laurène !